Marxism and Art? Doesn’t it make you think of oversized statues of heroic workers and socialist realist murals depicting the inevitable rise of the proletariat? 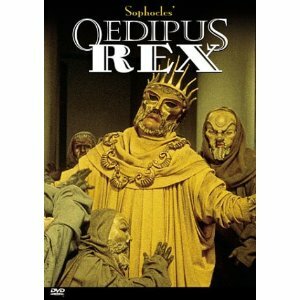 Or of didactic agit-prop films which leave no room for ambiguities as they explain how socialism will triumph some time next week? According to Zhdanov, Soviet literature was the “most revolutionary in the world”, unlike bourgeois art, which merely consists of “empty-headed entertainment and pointless humour” which screens “ideological and moral corruption behind a pursuit of beauty of form without content”. Let’s just recap for one moment. Zhdanov is demanding that art be politically partisan, and that its main subject must be heroic workers. On the rare occasions when humour us justified, this humour should never be “pointless”. Zhdanov treats are as it has no intrinsic worth – the best art approximates an illustrated manifesto. And of course, only committed socialists are able to produce great art. We should be thankful that other Marxist critics developed a much more sophisticated and persuasive understanding of art and culture. Marx and Engels themselves wrote about the novels of Balzac, and Lenin about Tolstoy. Gramsci wrote his cultural writings from his prison cell and Rosa Luxemburg discussed literature in the heat of the German revolution. This is before we think of Simone de Beauvoir, Frida Kahlo, Stieg Larsson and many other convinced Marxists who produced great art of their own. This article – and the two which follow it – can, on account of their length, only touch the surface, but I hope that they can provoke further debate and encourage people to look more at what the Marxists critics actually said. In this article, I will be summarizing the ideas of some of the most important critics. Subsequent articles will try to use these ideas to analyse of the development of the novel under capitalism and the film industry in the twentieth century. 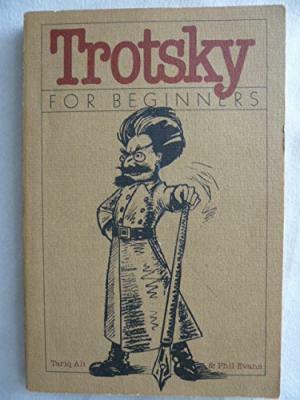 If we are looking for an alternative to Zhdanov’s view of art, one of the best places to start is Leon Trotsky’s superlative book ‘Literature and Revolution’. According to Trotsky, “a work of art should, in the first place, be judged by its own law, that is, by the law of art.” This is an important and correct point, although it raises more questions than it answers, not least, what is this ‘law of art’ and how is it measured? Is the law of art an absolute law, which has the same validity over time and for all audiences? Or is it relative, so that the law of art that is valid for me is not the same as the one that is valid for you? If I like a work of art and you don’t, is one of us wrong? We can begin to overcome this dichotomy if we understand that a work of art can be judged on much more than just its content. The content of a work of art is generally the same for everyone. When we read a poem, everyone reads the same words. Rhymes have the same effect for most readers (even this is an overgeneralization, as different dialects can result in some rhymes “working” for some people but not for others). At the same time, the way in which art affects its audience can vary quite substantially. The same piece of art can provoke quite different reactions from different people. We do not consume art passively, but in relation to our own personal experiences. Here’s a personal example to try to explain what I mean. When I was younger, I had a particular affinity for television plays of the 1960s. 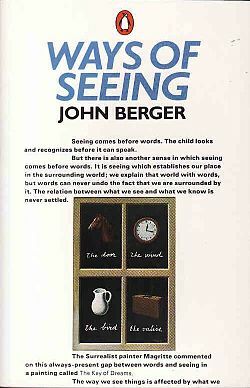 The plot was often pretty much the same: a young man leaves his family and home town, and – to his horror – meets people from a different social class for the first time. Although these films were twenty years old, they reflected the experiences that I was undergoing. These old television plays spoke to me in a way that the – then very popular – “Brideshead Revisited” could not. “Brideshead” was a television adaptation of Evelyn Waugh’s book and was at the time celebrated as being pretty much the pinnacle of using television as an artistic medium. To me it was little more than an insubstantial tale about two foppish men and a teddy bear. Since then, I’ve learned to admire the “Brideshead” series, but even this is partly a result of my personal development. At the time it was barely possible to appreciate a work of art which seemed to have so little to say about my life and experiences. This is not to say that art must simply retell the experiences of its audience. For example, at the beginning of the twentieth century, the Russian and German revolutions were accompanied by a wave of significant new art. Much of this art was deliberately confrontational, and was produced by artists who did not want to just tell stories; they wanted to provoke their audience. We are talking here about people like the Spanish painter and occasional Marxist Pablo Picasso, who believed that “good art bristles with razor blades.” We are also talking about theatre directors like Erwin Piscator, film directors like Sergei Eisenstein, or the “hooligan poet” Vladimir Mayakovsky. But the most articulate of all these great artists was the playwright, poet and dramaturg, Berthold Brecht. 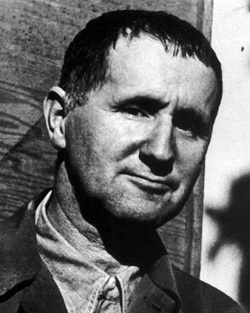 Brecht had no need for happy endings, and deliberately wrote plays that were uncomfortable to watch. His art was interventionist – the curtain dropping at the end of the performance should not mean that the play was over, but be the start of a discussion amongst the audience, that should ultimately bring them into action. Here we see the difference between radical and conservative art. Conservative art ends with the victory of the hero. The world is more or less the same as when the film, novel or play began. Virtue has been rewarded, and evil punished. The audience remains passive and consumes. By alienating the audience from the dramatic action, Brecht wanted to unnerve his public. 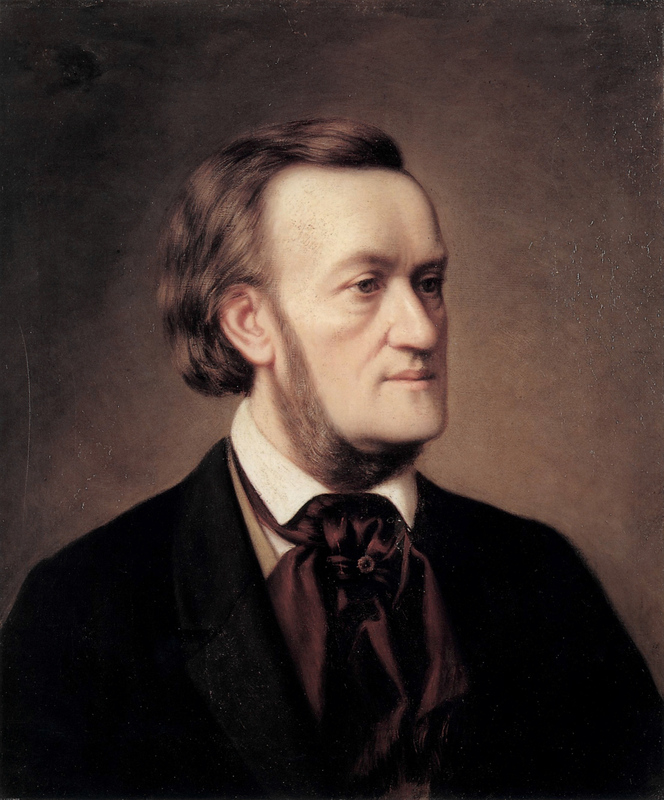 So, he employed artistic devices which interrupted the flow of his plays, such as using the scenery to comment on the plays, or having the actors step outside their roles to remark on what was happening and address the audience directly. Many of Brecht’s plays contained songs, but unlike modern musicals, which pretend that it is natural to spontaneously break into song, Brecht used music to point out the artificiality of what was happening on stage. Recently, the band Massive Attack used a very Brechtian device in a quite different context. 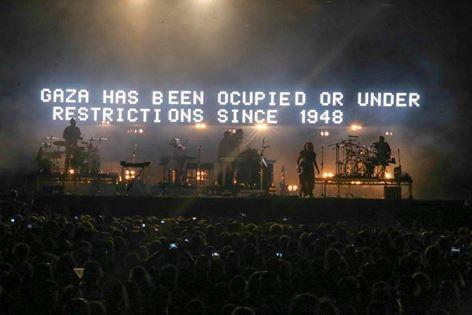 At their concerts, they displayed the slogan “Gaza had been occupied or under restrictions since 1948” above the stage. The aim was to draw the audience out of their complacency and address political issues rather than passively consuming the music. More recently, the band has used a similar device to highlight the needs of refugees. Brecht and his contemporaries chose a specific method of politicising their art – unnerve the audience, tear down the ‘fourth wall’ of the theatre and provoke a debate. Other socialist artists have been equally serious about propagating socialist ideas through their art, but have used quite different (and equally legitimate) methods. 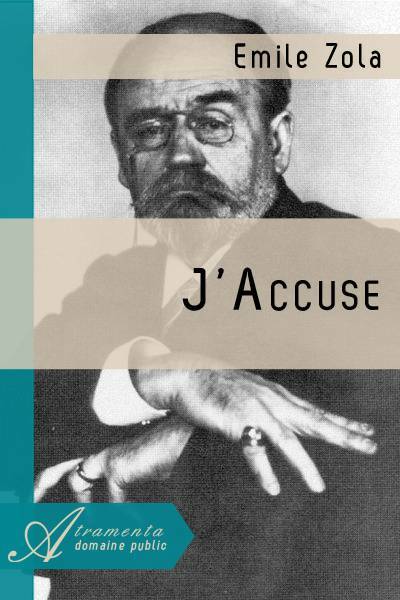 The realist novels of Emile Zola and films of Ken Loach prefer to provoke by depicting life under capitalism in all its horror. Readers and viewers are shown the misery endured by poor people, with the aim of provoking a moral revulsion inspiring them to build a better world. The audience is not directly confronted, but informed. This strategy had its successes. The homeless charity Shelter was founded as a direct result of Loach’s film ‘Cathy Come Home’ being broadcast on national television. Zola’s novels brought issues such as poverty and alcoholism to a mass audience. Both artists used their increased fame to shake their audience out of its complacency. Nonetheless, I feel that Loach’s and Zola’s best work didn’t rely on a well-meaning bourgeois audience, but depicted “ordinary” people changing their own environment. “Cathy Come Home” was Loach’s first film, and is relatively one-dimensional. It caused a scandal but didn’t really offer any alternative to well-meaning charity. In contrast, his later films, from ‘Bread and Roses’ (about the struggle to unionize migrant cleaners) to ‘Looking for Eric’ (about football fans trying to regain control of their club), show their protagonists actively changing their world. Perhaps the best examples of this sort of art are Zola’s masterpiece ‘Germinal’ (whose hero Etienne Lantier leads a strike) and Loach’s film ‘Land and Freedom’ about the Spanish Civil War. 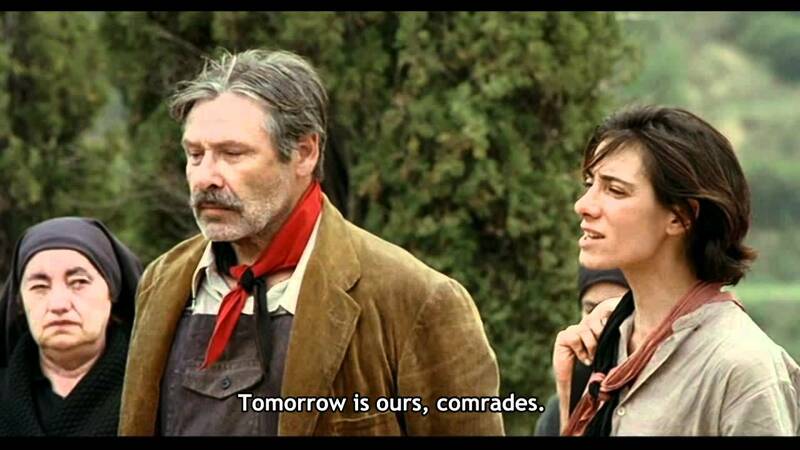 ‘Land and Freedom’ contains a remarkable 10 minute scene in which the Spanish farmers and international brigade fighters discuss whether they should collectivise the land, even if this costs them the support of Western governments. 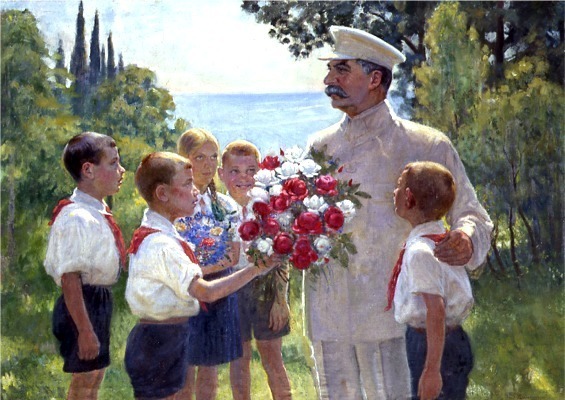 The ‘collectivisation scene’ clearly contradicts Zhdanov’s doctrine, that socialist art should only present ‘correct’ opinions. Instead, different characters are given the time to present their argument. We are drawn into the debate and prompted to think how we would act in similar circumstances. The result is not just good politics but highly effective art. Must art be explicitly political? Until now we have largely talked about the role of socialist artists and how they can use their art to promote their political opinion. Yet Marxist criticism has also plenty to say about “apolitical” and reactionary artists. Again, this means rejecting one of Zhdanov’s key ideas – that the only socialists can create great art – and celebrating a much broader canon. According to the literary theorist Terry Eagleton, all great art is necessarily socially progressive, regardless of the intention of its author, because “it realizes the vital ‘world-historical’ forces of an epoch which make for change and growth, revealing their unfolding potential in its fullest complexity.” Art is dependent on the social relationships affecting the society in which it was produced and consumed, and presents these relationships to its audience. In ‘Literature and Revolution’, Trotsky argues “Marxism alone can explain why and how a given tendency in art has originated in a given period of history; in other words, who it was who made a demand for such an artistic form and not for another, and why.” Because art is a social phenomenon, you cannot fully appreciate a piece of art without understanding the society from which it emerged. Trotsky’s “law of art”, which we discussed earlier in this article, is ultimately inseparable from the laws of society. Does this mean that art criticism must always concern itself with social relationships? Isn’t there such a thing as pure beauty? Can’t I just say that I like the ‘Mona Lisa’ because it’s a beautiful picture? This question isn’t as easy to answer as it first seems. Beauty is a social construct. 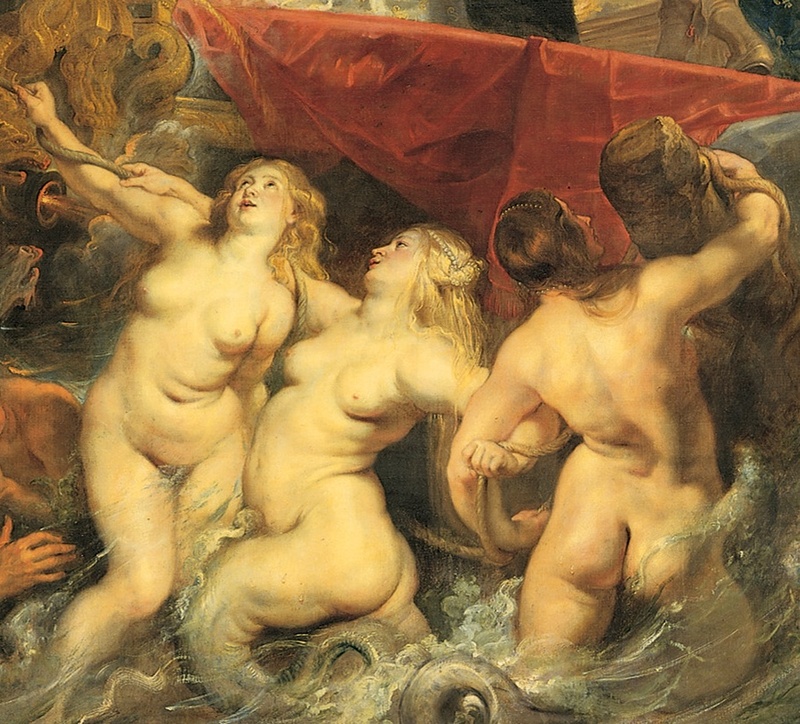 The fat women who Rubens painted were considered by his contemporaries to be beautiful, because his class associated beauty with being able to afford to eat properly. These values are not universal, but located in a specific society. One could argue that although contemporary society has quite different ideals of beauty, Rubens’ paintings are still seen to be great art. Does this not mean that Trotsky’s “law of art” is universal after all? I would not agree, as our appreciation of Rubens’ paintings depends on some lingering connection between early seventeenth century Holland and contemporary Europe. If we had no understanding of his society, we would be literally unable to appreciate his art. In Marx’s ‘Contribution to the Critique of Political Economy’, he says “It is not the consciousness of men that determines their existence, but their social existence that determines their consciousness”. Works of art are part of this consciousness which is determined by social existence. One of the objects of art criticism is to explain this complex relationship between art and society. In summary, every work of art is the result of hundreds of artistic decisions – some conscious, some unconscious, which are made not just by the individual artist, but have also social and historical causes. Similarly, our reaction to art is influenced by our own experiences. One can superficially enjoy art as pretty things, but to truly appreciate it, it helps to know it’s (and our) social background. Can reactionary artists produce great art? Another work of art which was produced with entirely reactionary intentions is the 1954 film “On the Waterfront”. The heroes are a priest and a scab. The dockers’ union, at the time one of the strongest in the United States, is portrayed as being corrupt and controlled by the mafia. Even worse than this, director Elia Kazan used the film as a clumsy justification for his betrayal of his colleagues by naming names to the anti-communist McCarthy Commission and House Un-American Activities Committee. This scandal cut so deep, that nearly fifty years later, left-wing artists protested against Kazan being awarded an honorary Oscar. 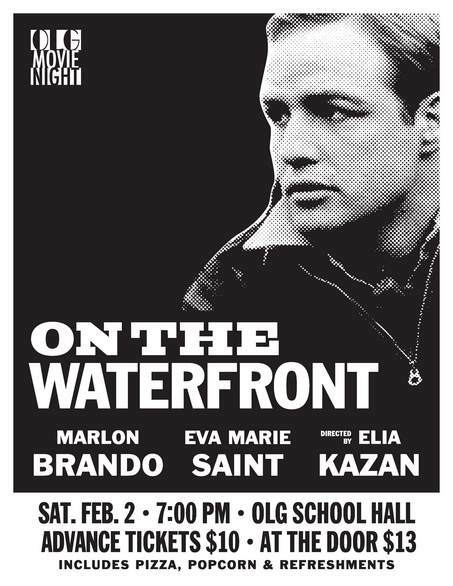 Their protest was entirely justified, but none of this prevents “On the Waterfront” from being a thoroughly captivating display of superlative acting (not least from a young Marlon Brando). Watching the film, we are put into a similar position as when we watch a superior cop series. We are moved by the human and artistic aspects to sympathise with the people we see on the screen, while muttering “ACAB” under out breath. Theoretically, no art should come with a price. Yet we live in a capitalist society, where everything is treated as a product to be bought and sold. Even left wing art – from portraits of Che Guevara to the music of the Clash – is used to sell Coke and jeans, thus compromising their artistic value. This trend towards commodification is increasing. Many art critics seem only able to appreciate art which is sold for insane amounts. Decisions about the quality of art are determined a small number of art dealers and gallery owners like Charles Saatchi, who in an earlier life was responsible for Margaret Thatcher’s election campaign. Even art which does not cost much to produce – like graffiti, street theatre or poetry slams – is subject to the conditions of capitalism. Contemporary art cannot exist independently of the ideology and fixation on markets of modern capitalist society. Art entails a rejection of and a challenge to the alienation that we all suffer under capitalist society. Under capitalism, we can only realise fragments of our creativity. Art can help us survive capitalism, but it is only in a socialist society that we will be able to realise our full creative potential.